And, to get to eat this, we made 2 trips in total. The first one, we were there at about 1.30 pm but was told that the Yum Seng to SG52 set was sold out for lunch. The service staff asked whether we would want to come back for dinner on the same day. And, he mentioned that we could actually call to make a reservation. We strongly felt that there was a lack of flexibility in handling this. 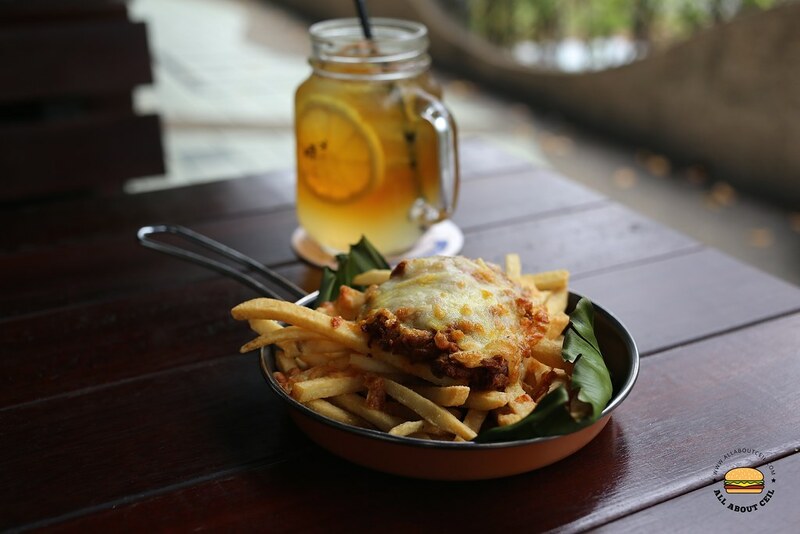 There is totally no mention that there are limited sets available for their lunch on their Facebook page when they open from 11.00 am to 12.00 am during weekends. At that moment, we felt that this promotion was an insincere one and we even tempted to leave a bad review on their Facebook page but we decided to give it a second chance. This time, we called right after they opened on a Sunday to reserve a table for 2 and also that promotional set before going there at about 1 pm. 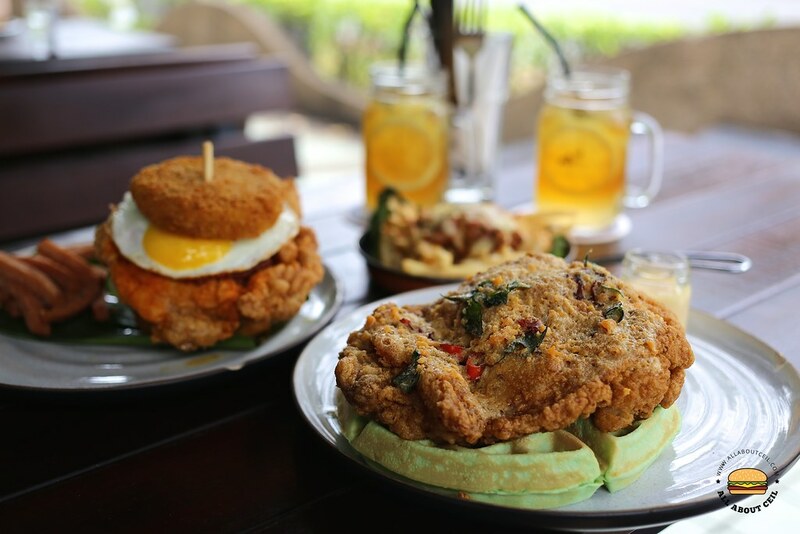 This Yum Seng to SG52 set consists of Nasi Lemak Burger, Salted Egg Yolk Chicken & Pandan Waffles, Beef Rendang Cheese Fries and 2 glasses of Pandan Arnold Palmer at $56++. It would be $52++ if you "yum seng" (make a toast) with their staff and agreed to record a video. We decided to skip it. This set is only available for the month of August. The 2 glasses of Pandan Arnold Palmer were served in just a while. My dining companion could not quite tell the flavor of it. He said, "It tasted a bit strange and a bit too sour." He did not like it. 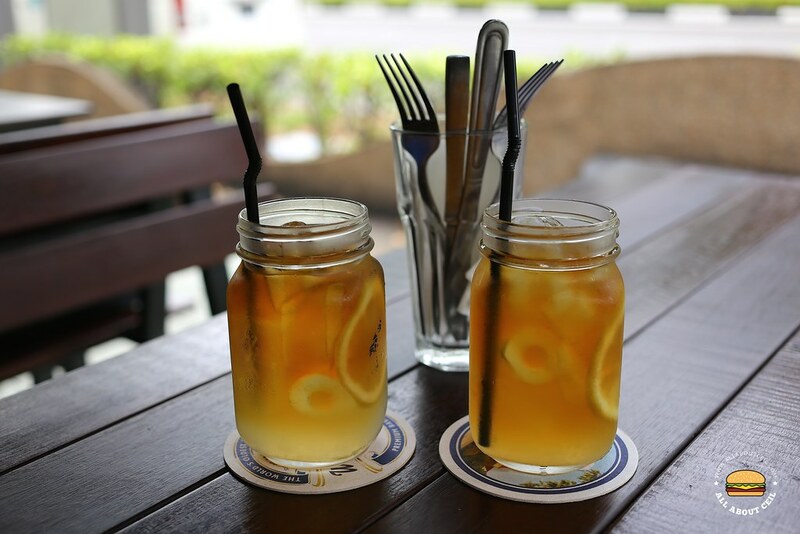 This drink is none other than pandan infused lemonade with southern sweet tea. 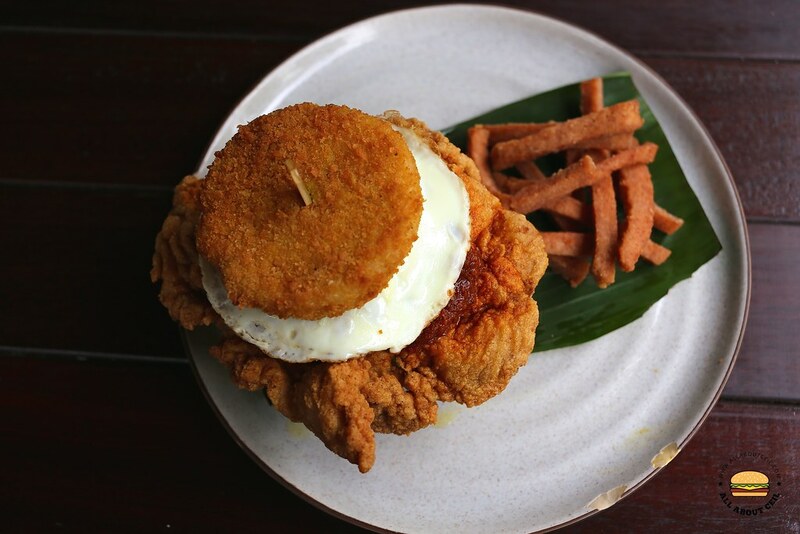 Nasi Lemak Burger, the most talked about in town about Macdonald's launched its version and sold out soon after that. It has recently announced that they will be bringing it back at the end of August. I wonder how good could their Nasi Lemak Burger be since it is served without the rice which is one of the main components of the Nasi Lemak. I did not get to try it the last round and I doubt I would do it even when they are back. The Nasi Lemak Burger by The Beast is pretty legit. 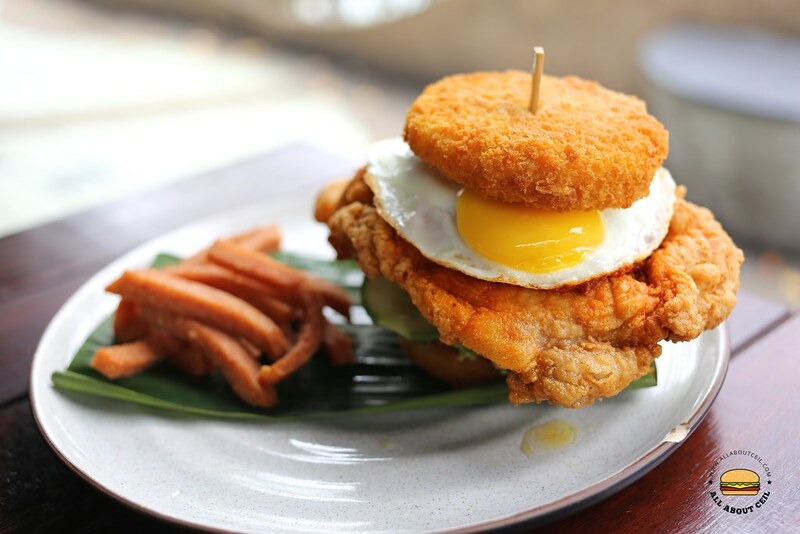 They served it with a fried egg, a fried chicken together with lettuce and cucumber, sandwiched in between 2 pieces of rice patties and served along with luncheon meat fries. 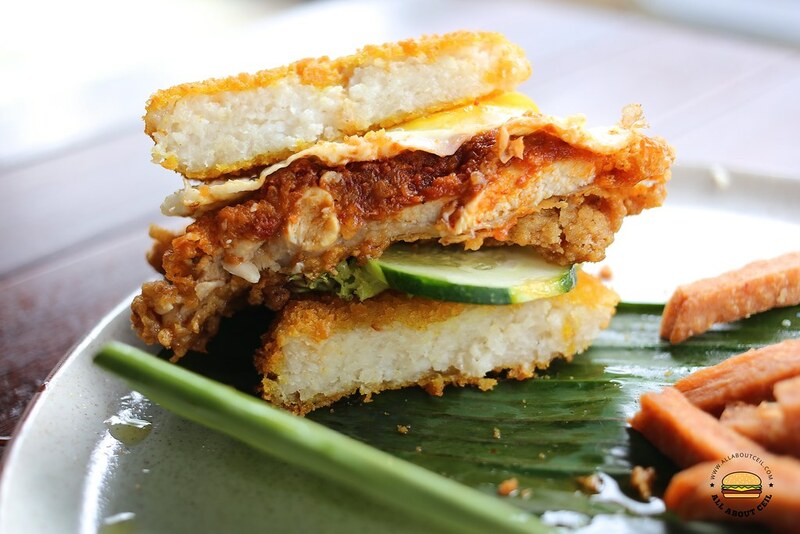 The hand-shaped coconut rice patties were coated with bread crumbs and deep-fried to achieve the desired crispiness and it stayed crispy even after left for a while. The fried chicken thigh was smothered with their house-made sambal tumis. My dining companion said, "It is the sambal chilli made it tastes so authentic." I shared the picture on my Facebook and a friend asked for the review which I replied, "They got the taste and combination correct." 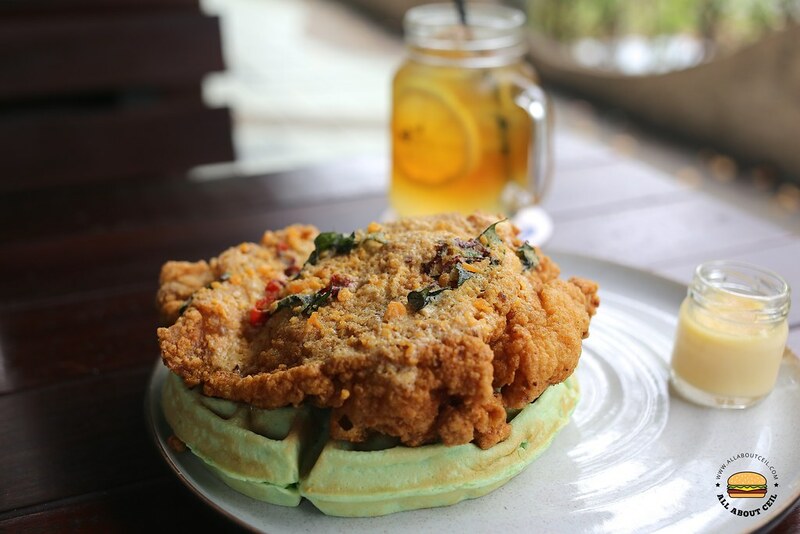 Salted Egg Yolk Chicken & Pandan Waffles. 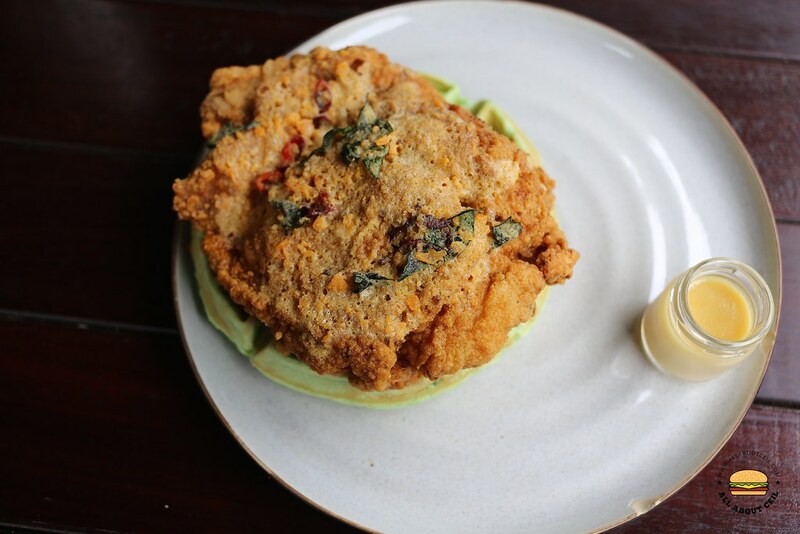 This consists of a piece of salted egg yolk chicken served on a crisp pandan waffle with a side of creamy milk sauce. At this point, after just done with the Nasi Lemak Burger, this was a bit overwhelmed. It is like the typical American food, it came in massive portion and it was quite a challenge to finish it. It happened to the table next to us too, that group of guys did not manage to finish their food as well. The moistness of the fried chicken caused the waffles to be soggy pretty fast and we left most of it unfinished. 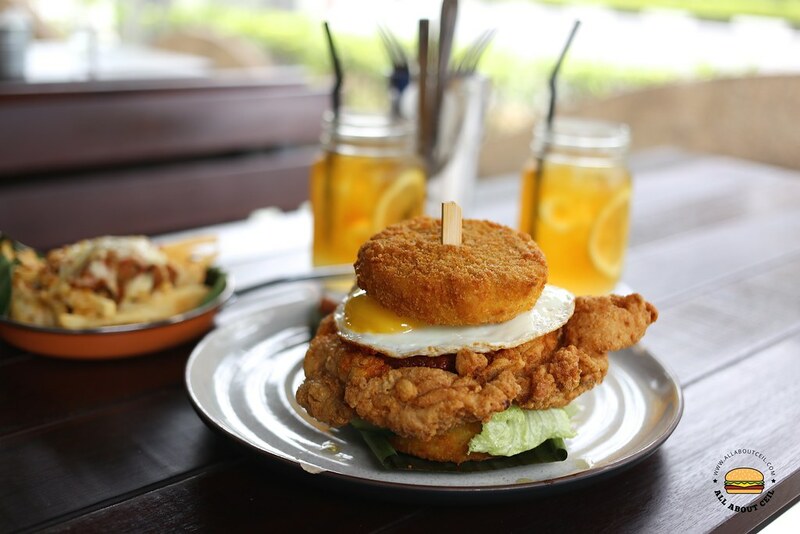 Just like the fried chicken for the Nasi Lemak Burger, it tasted quite bland if without the salted egg sauce. 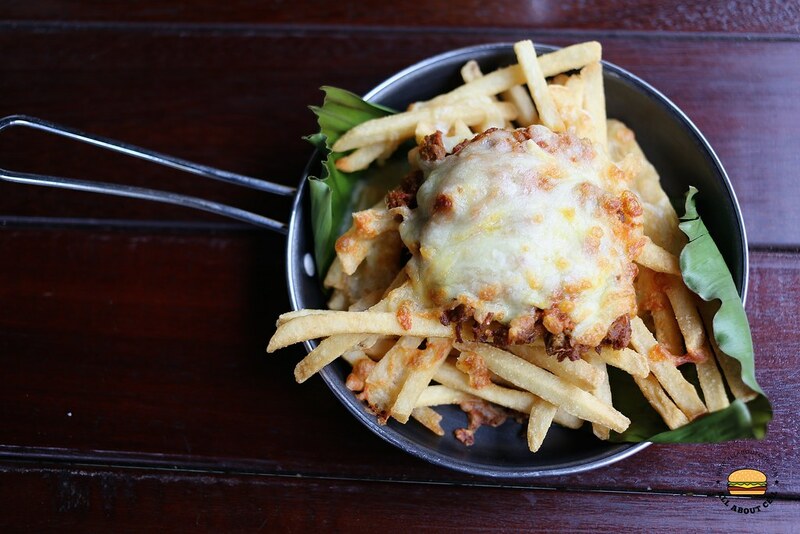 The fries were topped with their rendang using their secret recipe and melted mozzarella cheese. This was not bad though not quite memorable.